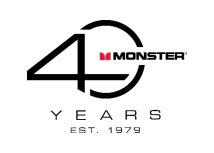 Monster®, the world leader in premium headphones, speakers and power accessories, announced on December 21. 2018 the debut of a bright new product category with Monster Illuminessence, an easy-to-use color-changing LED Lighting System that makes the fun and excitement of professional quality LED lighting significantly more affordable than ever before. Ideal for parties, holiday decorating or just everyday lighting fun, Monster Illuminessence lets you create instant mood and ambience, without the hassle of complicated devices and software set-up. Notable, because it uses a simple RF touch remote system that works right of the box. Monster Illuminessence is available now at Wal-Mart. Monster Illuminessence is easier to setup and use than Bluetooth or WiFi products on the market. The new Monster Illuminessence line includes kits for large rooms, small rooms, light strips, bulbs and longer power extension kits. “Illuminessence is the start of a great thing for Monster,” noted Head Monster Noel Lee. “Lighting is a critical element for creating the perfect ambience for any situation. Imagine concerts or dance clubs without special lighting or Halloween 'spookfests' without orange and black lighting. In an instant, almost like magic, great lighting creates a whole new atmosphere and ambience. Monster Illuminessence gives everyone the opportunity to enjoy a stunning, professional quality LED light experience without the complicated set-up or the budget-killing price." With Monster Illuminessence, LED lighting is easy to install and easy to use, allowing versatile, fun and useful lighting at the touch of a button. And because the system is completely modular, you can choose exactly the kit that best fits your room size. 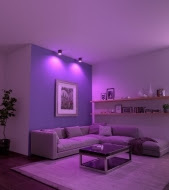 Each kit includes a different combination of LED color-changing bulbs and LED strips to suit your needs. Simply screw in the bulb to any light fixture, remove the adhesive on the LED strip and stick it below your bed, bar, kitchen cabinetry, or anywhere you want to add instant mood and ambience. Best of all, it’s easy to expand lights and rooms with additional Monster Illuminessence kits. You can pair up to four Illuminessence remotes with up to 30 different LED bulbs or strips in each group for the right light throughout your home.